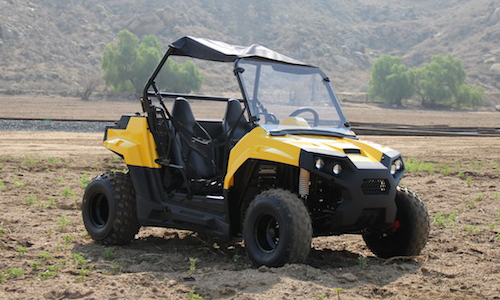 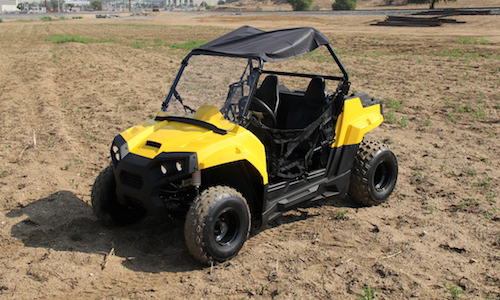 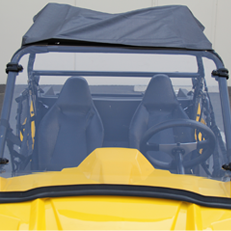 Our kids UTV comes standard with a full plexi glass windshield. 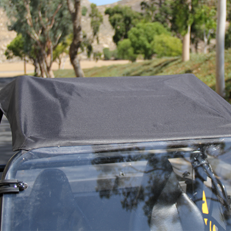 The standard roof gives your kids extra protection from the sun and outside elements. 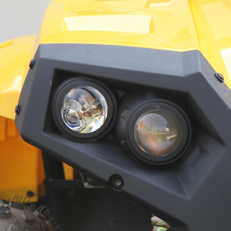 These halogen headlights work great and are extremely bright to ensure your kids have a clear view of whats ahead. 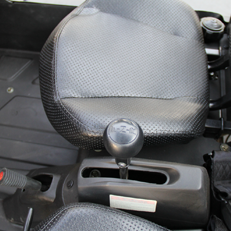 The gear shifter is simple and easy for your kids to control: F is for Foward, N is for Neutral and R is for Reverse.